Ruru Rooster has me thinking, seeing, dreaming up roosters everywhere! 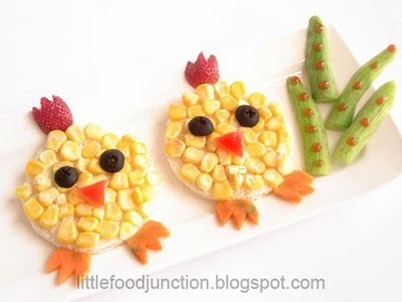 Here’s an adorable breakfast rooster and rather wonderful chicks that I came across on the blog site Little Food Junction. 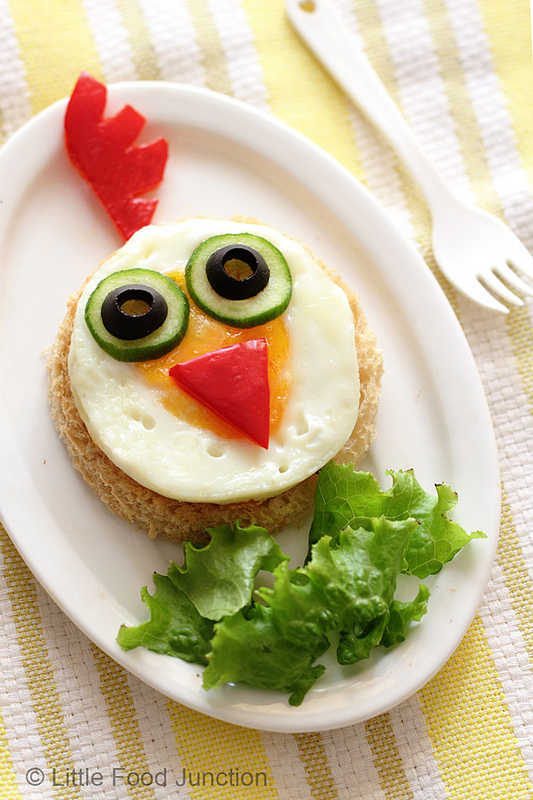 Eggs, corn, cucumber seem to do the trick. The kids should be pecking away in no time!